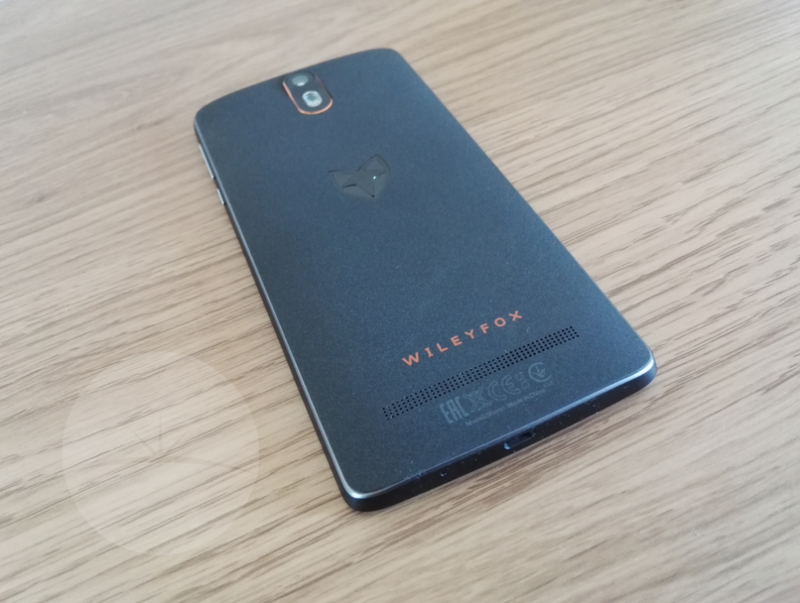 We’ve got our hands on a review product of the WileyFox Storm, sent to us by our very good friends at Clove Technology whom we’ve worked closely with over the years. Par to the course, we’re going to give our honest opinion on the device and share our thoughts with readers on the device’s good and bad points staying true to the facts on this budget phone. Priced at £200 here in the UK and shipping with Cyaongen OS out of the box, the device is certainly more in the “budget” price bracket ,but, how does it compare to other phone’s around this pricing? 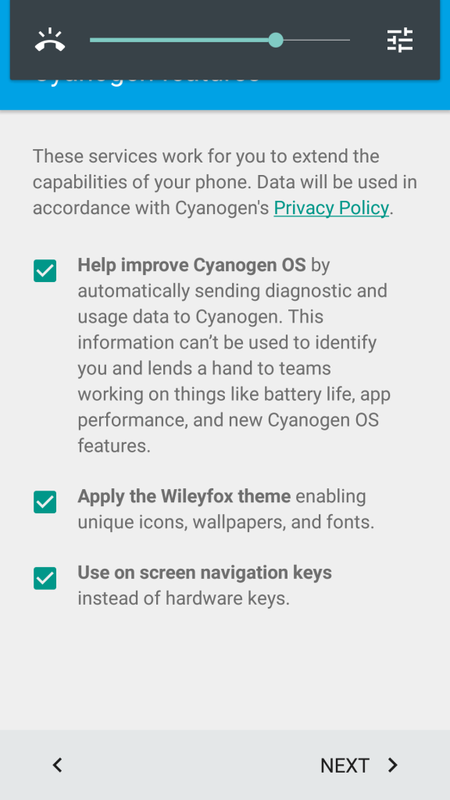 Is Cyanogen OS a capable operating system? 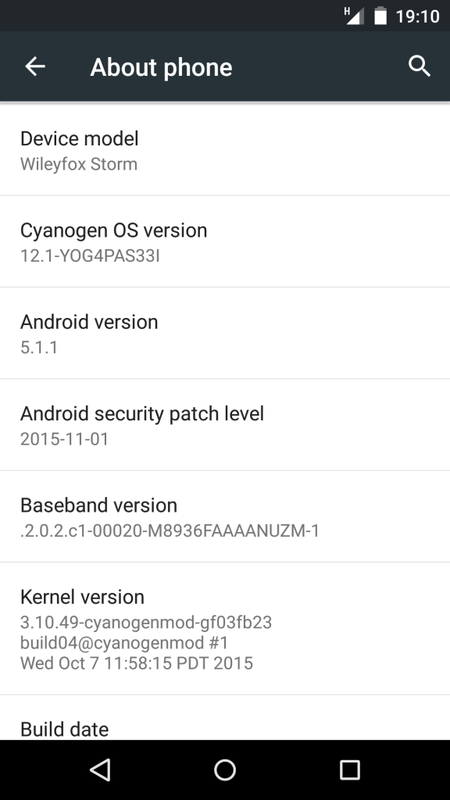 The device shows Build Number LMY48B, Cyanogen OS versions 12.1-YOG4PAS3MG. An Over The Air updated was received mid-review which contained bug fixes and Android security updates. (Nothing obvious seemed to be fixed, read on for more in that regard. )Tested on a rolling Three UK SIM mostly on H+. In twisted logic, you can buy three WileyFox Storms for the price of the “flagship” phones from Samsung or Sony, so this device only needs to be a third as good as those to be a great purchase. Actually, that’s a little bit too weird. Any reviewer’s instant thought process would be to look to see where corners have been cut to keep manufacturing costs down, I’m happy to report from the start there’s nothing that stands out as being cheap here with the Storm. 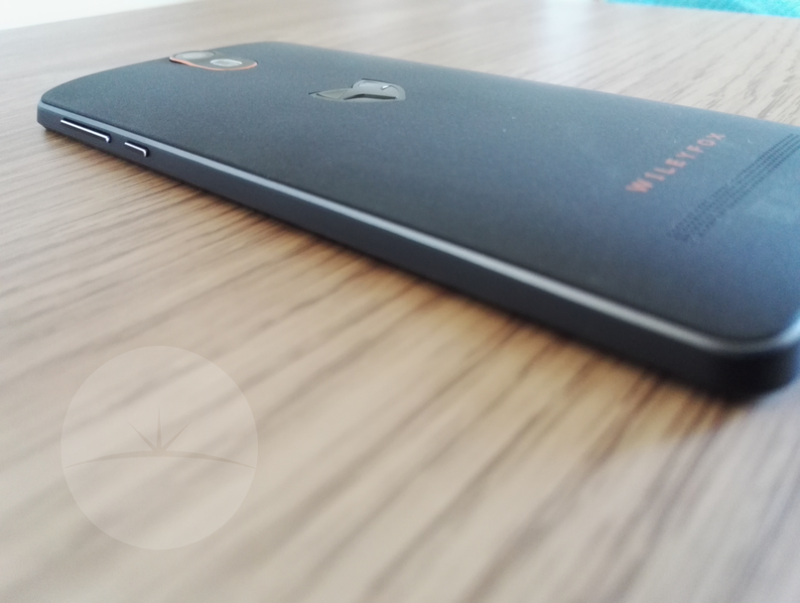 You’ll get a well built device with solid materials and a great user experience with the WileyFox Storm, maybe too much like the OnePlus One, you’ll notice from the start there are so many similar design features. 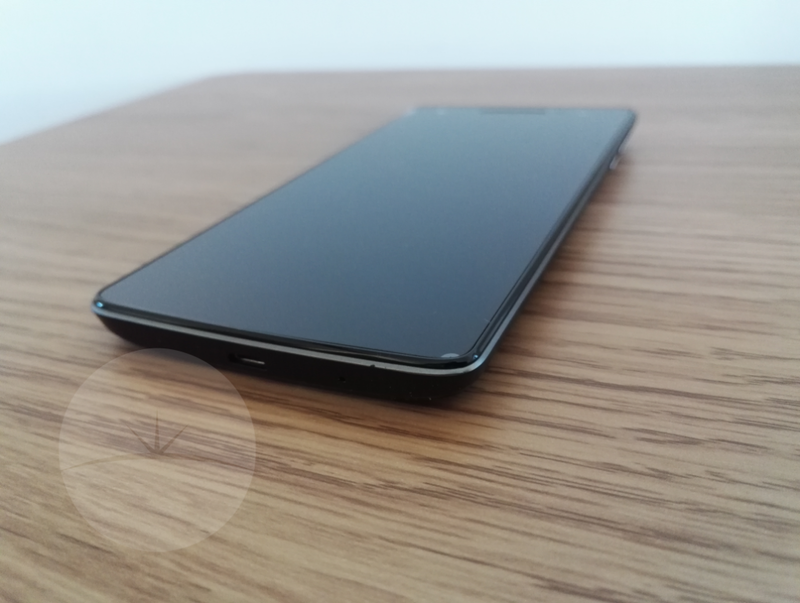 The finish on the back is called a Sandstone feel, made famous by the Chinese company, only not as rough to the touch. The plastic build doesn’t scream of high quality but I didn’t really expect premium metals before the the WileyFox Storm landed on my review table. It feels strong with a bit of weight, I didn’t try to bend the device or drop from the top of a lookout tower fifty feet up. (I’m pretty sure things like that don’t often happen in everyday life. Maybe I don’t go outside enough, I’m not sure.) We’d like to mention that the manufacturer offers Three Year Warranty for £9.99 and Screen Replacement £9.99 (per year) regardless of where you buy simply register your device. 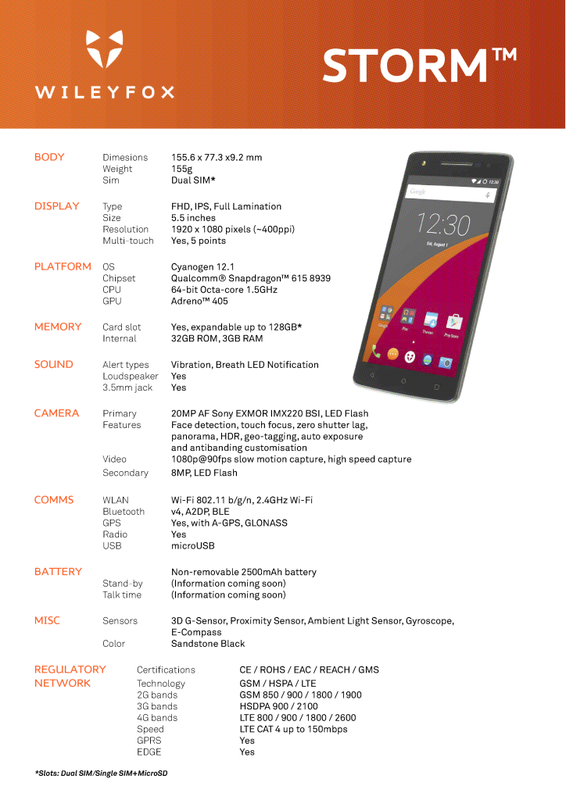 Spec sheet from WileyFox/Storm, too well presented not to share. Performance wise, the Qualcomm Snapdragon 615 powers through everyday tasks in a breeze. (64-bit Octa-core 1.5GHz.) Coupled with 3 GB RAM, recent apps open fairly quickly but a keen eye would notice stutters and re-draws. Killing recent apps too can take more seconds than a “flagship” would, but, definitely not awful. Not exactly fantastic either though. The WileyFox Swift can handle all the top games on the Play Store but slow downs are not uncommon on the more strenuous titles. The Snapdragon 615 isn’t the top SoC but as we said, perfectly fine for all the average day-to-day tasks, Facebook, Instagram and playing Candy Crush. The 2500 mAh battery will certainly last the average user a day, but, I’d class myself as a heavy user who had to reach for the charger in the late evening. With everything on and syncing, I could make it to 5PM. There seems to be a bug in the OS because battery stats don’t show so I can’t give an indication of what service or app was using up my juice. I can’t give a screen on time either because the information isn’t available. 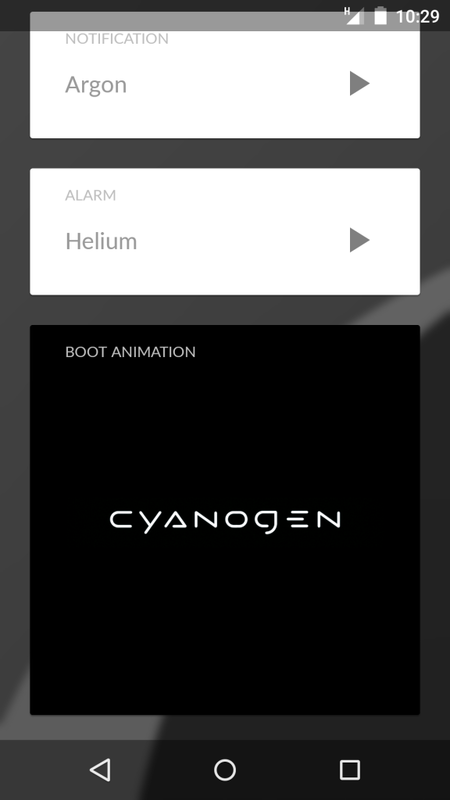 (Hopefully battery stats can be fixed easily if Cyanogen are aware of the issue. They didn’t fix this issue with the OTA received. We’ll have to wait again) Not mindblowing battery life but not awful either. 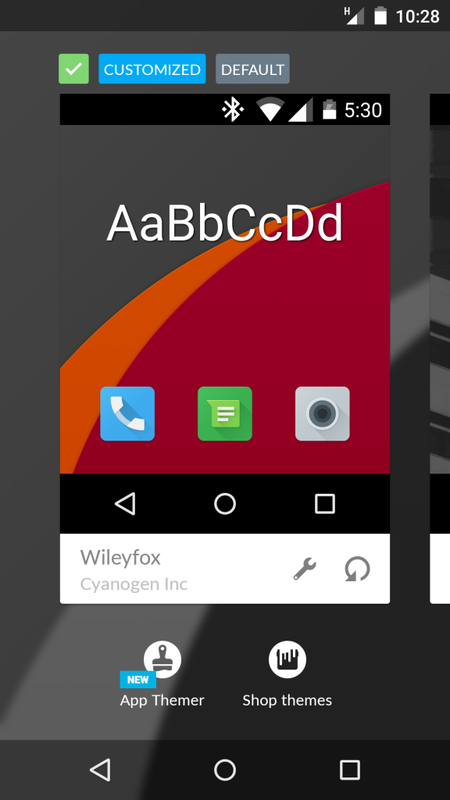 On to my most favourite feature of Cyaongen OS, Themes. If anyone follows my personal Google Plus account, I love to share screen shots of themes and icon packs that I’ve purchased over the years. We’ve reviewed only the best here at DroidHorizon if you’d like to see them. Everything is changed system-wide and you can pick and choose nearly all aspects of the UI. In my opinion there should be no two devices that look the same running this operating system. 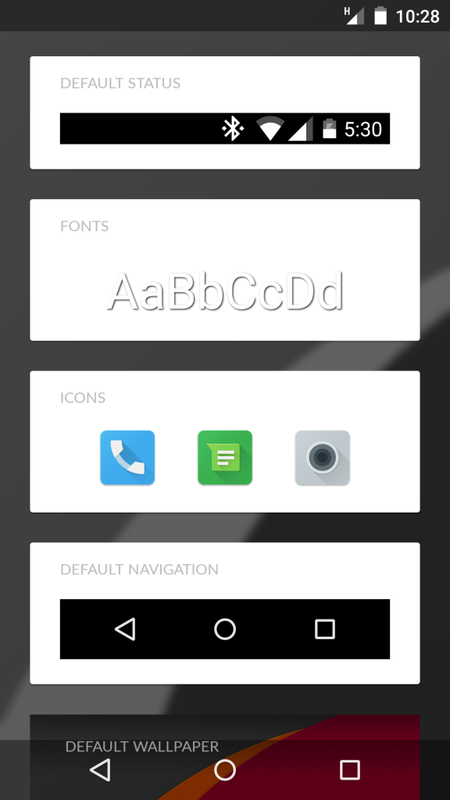 Status bar, navigation bar, boot animation, icons, wallpapers, lock screen wallpapers, controls, sliders. Dear gawd! Those customisation options!! 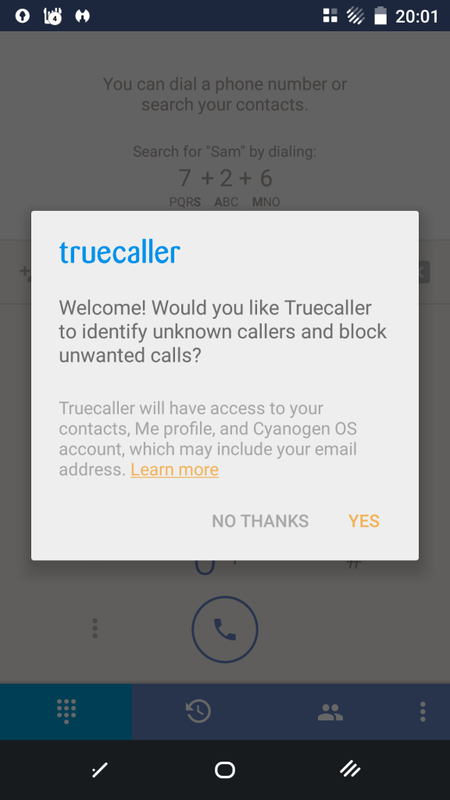 Truecaller comes built in to stop unwanted calls. 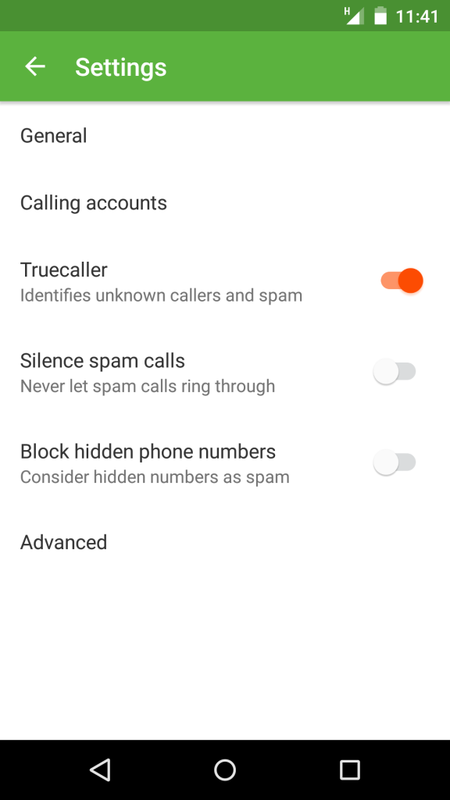 Truecaller lets you search beyond your phonebook, identify unknown incoming calls, block calls you don’t want to receive, and make relevant contact suggestions based on time and place – so you never have to leave the service to find the right contact. (The app can’t be removed, it’s built into the system. If you dont want to use the service you can easily turn it off in settings.) In testing the service seems to be geared more to the US, so I just deactivated it. The 5.5″ FHD IPS display is big, bright and beautiful. (1920×1080 pixels PPI 400.) 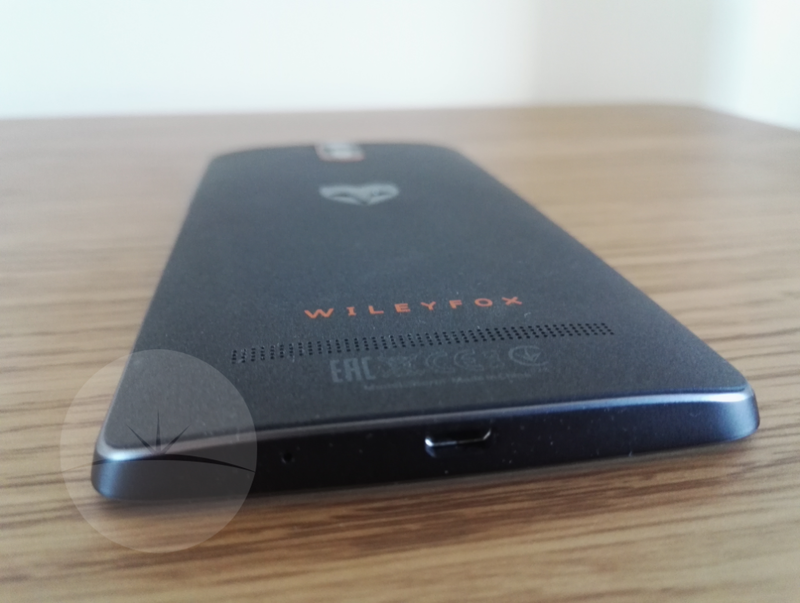 As we mentioned, the WileyFox Storm comes with a screen protector included. People generally like screen protectors or they don’t. Personally, I’d peel it off and take my chances. 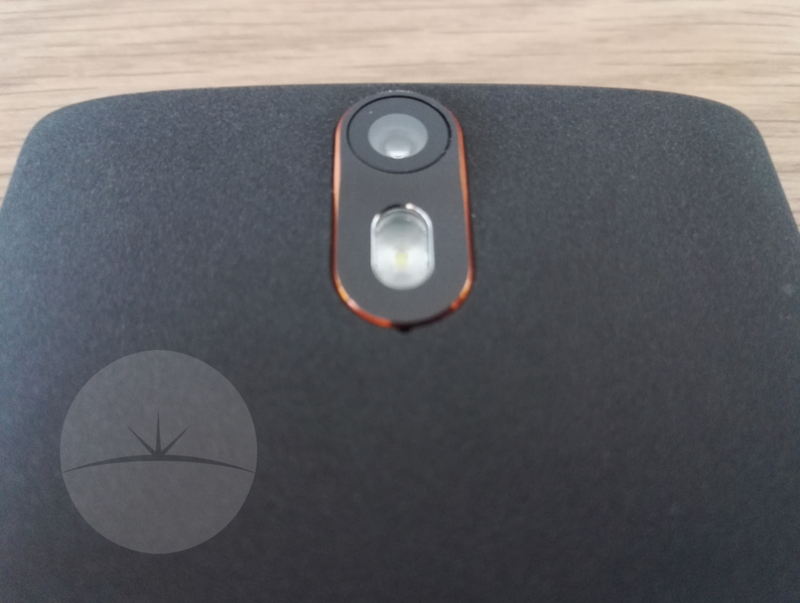 Searching on the WileyFox site, I see no mention of the glass used but seem to remember it’s Corning Gorilla Glass 2. I may have to edit that if I find conflicting information. Colours are well reproduced, although, a little muted. 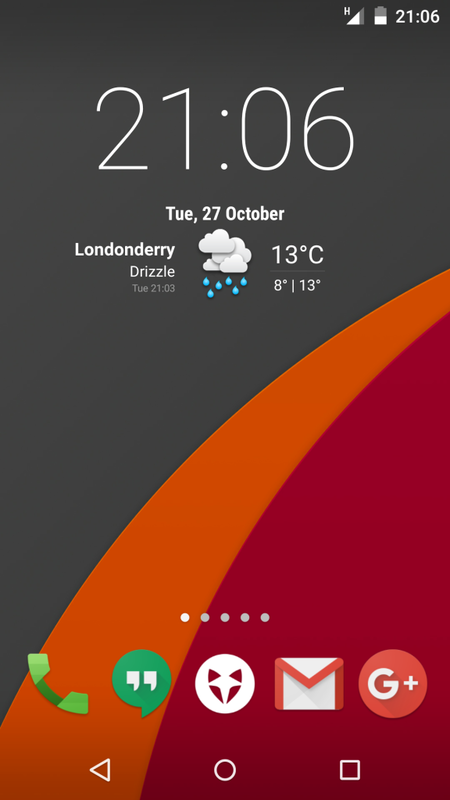 A bit more vivid is my prefered panel type but not over saturated like Super AMOLED. Viewing angles are wide, you can watch videos at any angle and still enjoy the show from nearly anywhere in the room, text and images look sharp. A surprisingly great screen for the price bracket. You weren’t expecting 2560×1140 pixels, were you? 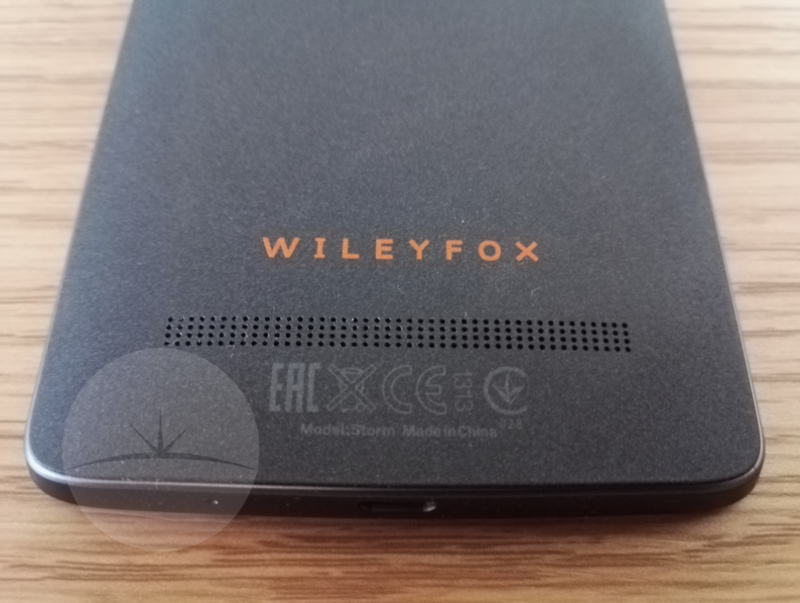 WileyFox included the 20MP Sony EXMOR IMX220 BSI Stacked (60FPS) CMOS camera on the back with an 8MP shooter on the front. The camera user interface is simple to use too but dreadfully slow to launch and focus. 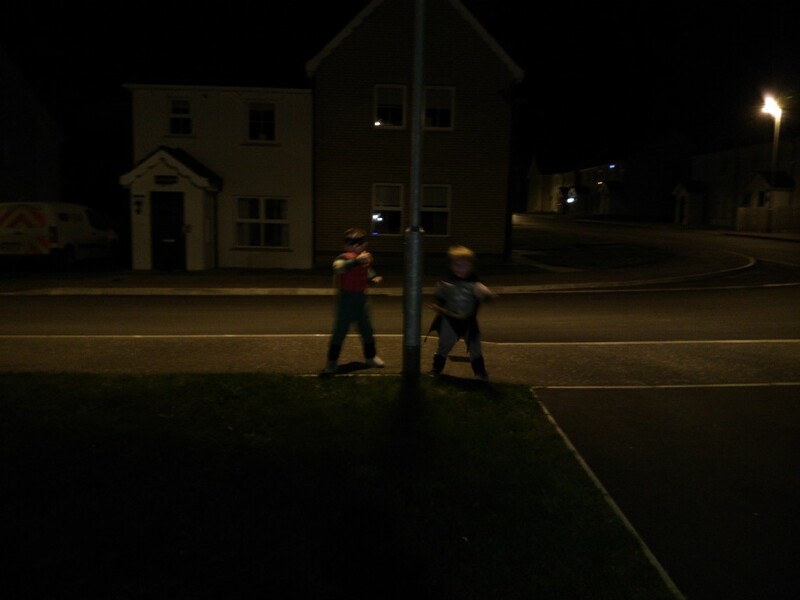 I installed the Google Camera from the Play Store which seemed to launch quicker but most definitely focused a lot faster. 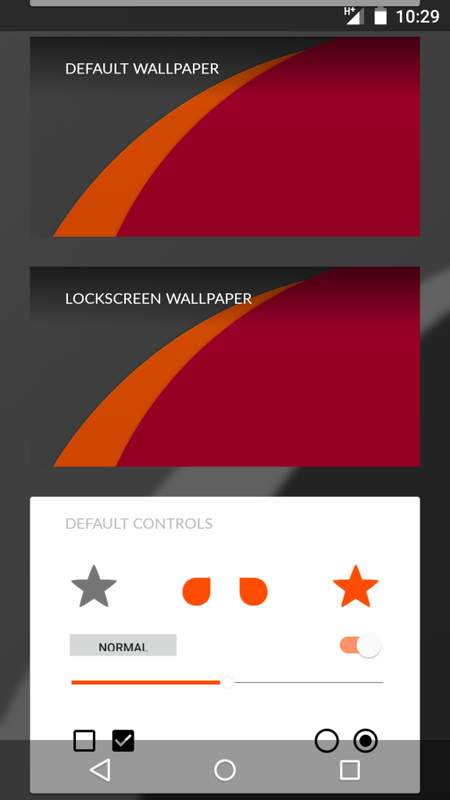 The installed camera app includes all the basic features you need which open from the edge of the screen. There’s settings available to change size, quality, viewfinder, zero shutter lag (which doesn’t work in my opinion) and ISO. In good lighting you’ll get detailed shots with great colour. 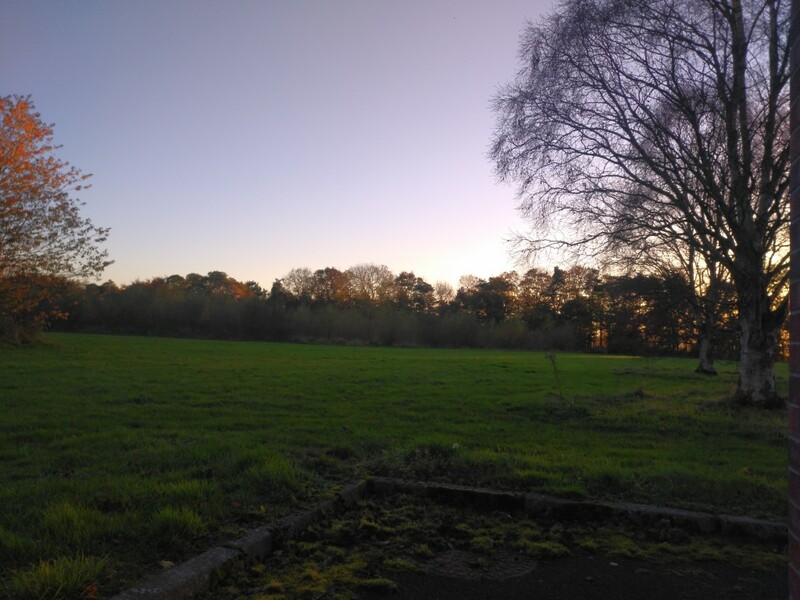 Dusk is rolling in, this is a dramatic shot with all automatic settings. 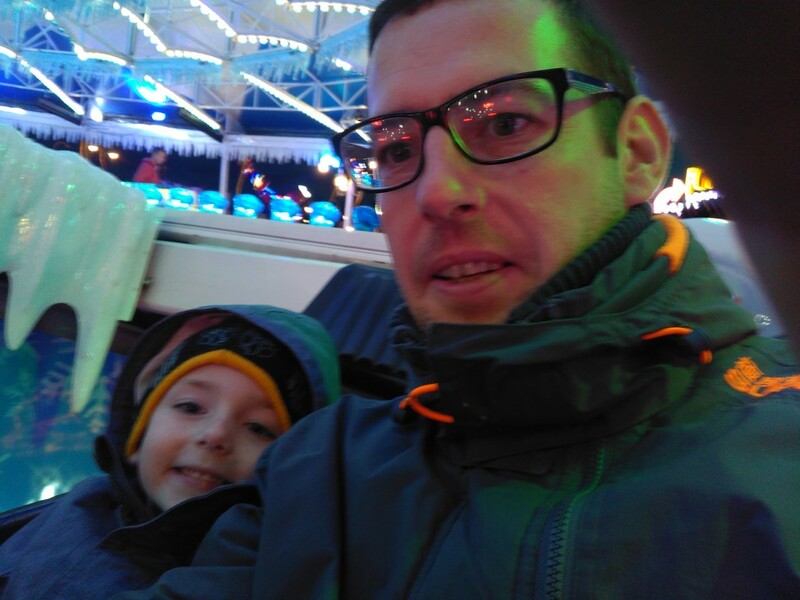 #SelfPortrait at the fun fair with the front facing 8MP camera. I’m a massive fan of the orange finish around the camera module. Sadly, not a fantastic sound quality experience with the WileyFox Storm. The speaker is on the back side, to the left of the grill. Set back down on a table it gets muted terribly. If you want a bit better listening experience, you’ll have to set the device screen down, which, I don’t like doing. Audio FX is built into the system but can only be used with headphones. There’s pre-installed EQ’s for some prefered genres or set up a custom preset for yourselves. The speaker is flat and not very loud, there’s zero emphasis on bass, mids or high. The soundstage is just thrown at you at once from all directions. Audiophiles won’t be looking to purchase the Storm but that’s ok. In conclusion. You’ll get a well built and solid device with the WileyFox Storm. 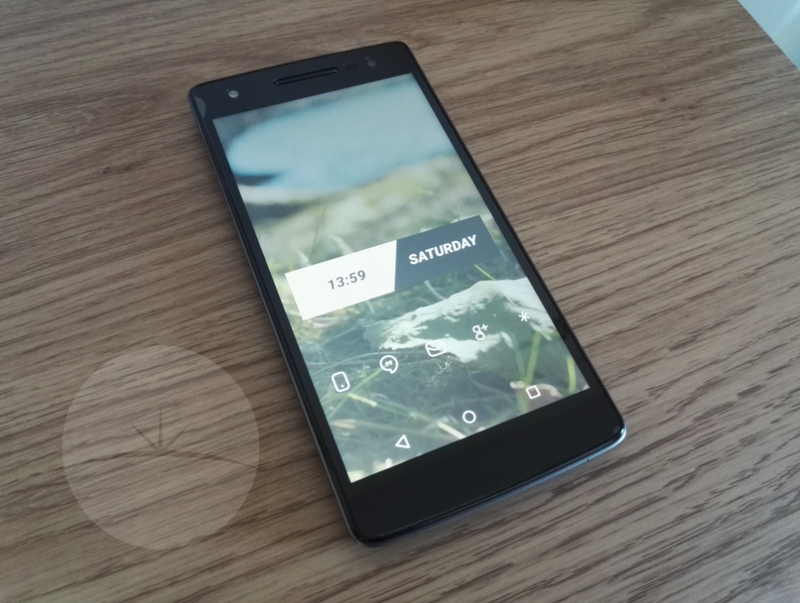 (That looks and acts remarkably like the OnePlus One, which is a good thing.) 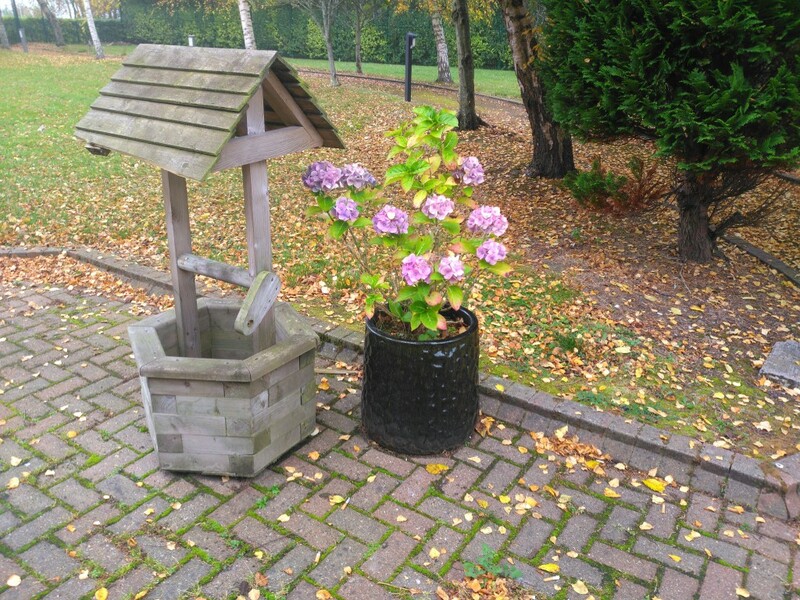 The price is fantastic with what you get… “Race to the bottom” has never been so competitive which is fantastic for customers who don’t want to be tied to 24 month contracts and have a budget around the £200 price bracket. Ok, so, the device lacks in some areas like wireless charging, NFC etc etc. But, does offer a bang to buck ratio that is hard to beat. The software needs some tweaks, fixes and maybe a bigger battery for heavy users like myself. Corners weren’t cut though with the Sony camera module and SD Card support is still massively important to most smartphone buyers. If I only had £200 today and I wanted to buy a great phone, the WileyFox Storm could likely be the device I would buy. (Maybe the Moto G instead but that’s king of the sub £200 price tag.